April 02. 2012 | By Valerie C.
Most of us, outside of those in the live scene in the Denver area, were unfamiliar with the trio of Wesley Schultz, Jeremiah Fraites, and Neyla Peckarek — collectively known as The Lumineers. That’s all about to change with the release of their self-titled debut LP. Opening track “Flowers In Your Hair” seems to capture the folky essence of The Lumineers in under two minutes. Followed quickly by “Ho Hey,” the song that put them on most people’s radar. A lovely tune in the vein of Edward Sharpe & The Magnetic Zeros, only without the hippie vibe. “It’s better to feel pain, than never feel at all. The opposite of love’s indifference,” croons Wesley on “Stubborn Love.” The lovely Irish folk ballad feel of “Charlie Boy” will probably make you want to knock back a few glasses of whiskey. 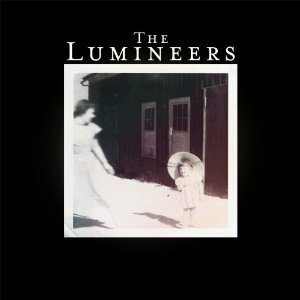 The Lumineers have crafted a charming record. Equally comprised of lovely folk ballads and jangly, head bobbing, foot tappin’, hand clappin’ roots rock.